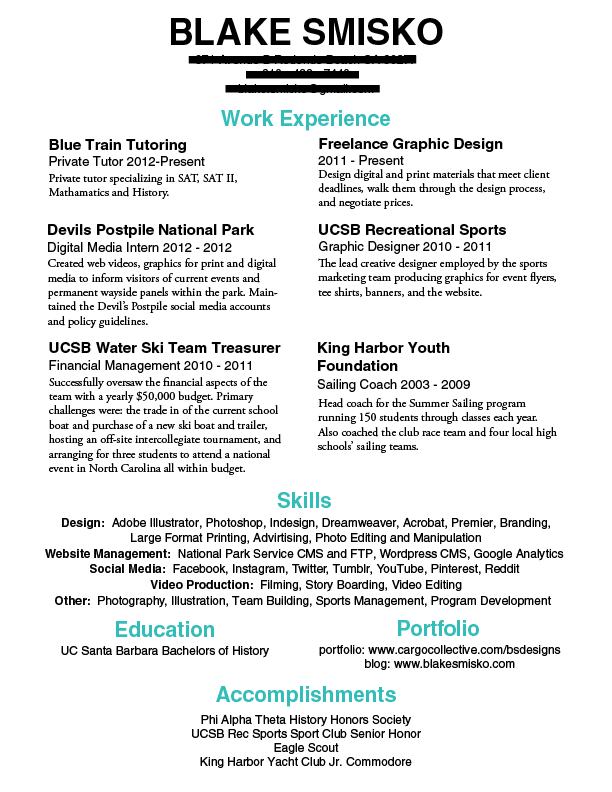 Being a graphic designer the resume is a constant source of trouble for me. I’m torn between creating a flashy resume that hints at my design aesthetic and one the HR rep will actually keep. I recently updated mine, changing the layout to better show my expanding work experience and making it more in line with a normal resume so it doesn’t get trashed on a gut reaction. I’d love to hear your thoughts/critiques. Then just wait for the offers to flow in. Dammit, I got it right 2 out of three times haha. Illustrator really needs to get spell check. I’ll fix it and edit the post.